My first exposure to old-timey music was a Pete Seeger record I played over and over as a five-year-old, but it wasn’t until I saw Foghorn Stringband open for Richmond Fontaine at the Blackbird in 2002 that I had that “eureka!” moment and was hooked. A few years as a spectator and square dancer gave way to occasionally playing guitar with Michael Ismerio at his Alberta Street Pub session (also where I met my partner Stephanie Noll! ), and then at Caitilin and Barb’s Waypost jam. Michael hooked me into the Old-Time Gathering Committee in 2010, and then onto the Bubbaville Board a couple of years later, where I’ve been happy to serve ever since. These days I chase my five-year old boys around, and once in a while I get to play guitar and fiddle with my old-time band Maris Otter. I am from the mountains of East Tennessee and have spent most of my life involved in traditional Appalachian culture and music. When I was in college, I started really getting curious about my homeland, and I went on to receive a Masters Degree in Appalachian Studies from Appalachian State University. I worked as the director of the Traditional Music Project at Appalshop, a non-profit media, arts and education center based in Southeast Kentucky. As the founding director, I organized and supported the traditional Appalachian music, storytelling and dance community through cultural arts education programs, festivals and workshops across Appalachia’s coal mining communities. 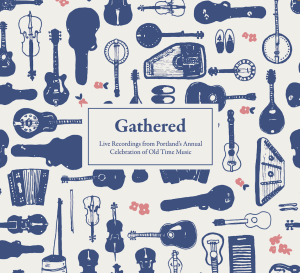 I came to Portland in 2008 through my involvement with the Portland Old Time Music Gathering. Musically, culturally and geographically, I feel a deep connection between the Pacific Northwest and my Appalachian homeland. My other major passion is the environment, and my “day job” is working as the Development Director at Crag Law Center, a non-profit that provides legal aid to the environment to community and conservation groups across the Pacific Northwest. I have worked as an Arts Integration Facilitator for The Right Brain Initiative and the Development Director at Rock ‘n’ Roll Camp for Girls. I enjoy exploring the wilds of the Pacific Northwest and bicycling or walking around Portland with my dog Bella, gardening, cooking and playing banjo. I’ve lived in Portland for about 38 years (I’m originally from northern Washington State) and have always been involved in music. I’ve been a member of the POTMG organizing committee for about 6 years, and have just finished working on my 6th Gathering as a committee member, having volunteered for a few years prior to that. I joined the Bubbaville Board of Directors in 2015 and I’m excited to expand my participation in the Old Time community as a board member. Growing up I took classical violin lessons but I’ve always been interested in bluegrass and old time music. Work brought me to Portland in 2000, and once here I found a fiddle teacher that helped me (slowly) learn some old time tunes. After a few years of lessons I began to play more in the jams and dances around the area. Attending events like the regular Foghorn sessions at the Moon and Sixpence, plus annual events like the Portland Old-time Music Gathering, Fiddletunes and the Centralia Campout, helped expose me to more tunes and potential jam partners. When not playing my fiddle, I work as a consultant in the energy efficiency industry. I have been involved with traditional music since the mid ‘70s. In 1978 I was a founding member of the Hiawatha Music Co-op in the Upper Peninsula of Michigan. This yearly event began in 1979. I make the annual trip to the UP every year to manage the stage. 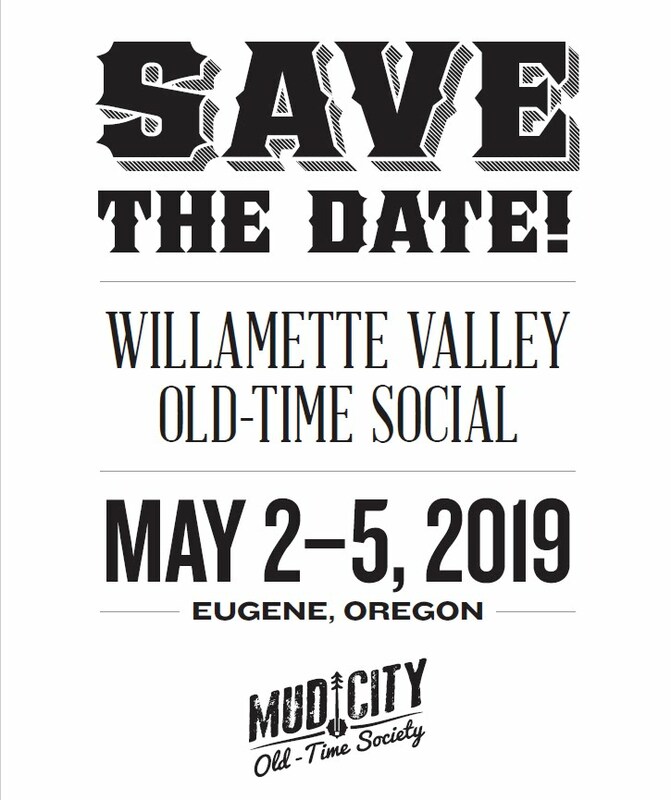 In 2002 when Bill Martin put out a call for someone to help manage the stage at the Portland Old Time Music Gathering, I accepted the challenge, joining the founders Michael Ismerio, Brian Bagdonas and Bill Martin in helping run the 4th Annual Gathering in 2003. I have been involved since. I’m a founding member of the Bubbaville Board, and have served many years as Treasurer and various Gathering committees. Musically I flounder with the banjo, guitar and mandolin and love to dance. My wife Tracey and son Reese are both old time fiddlers. We have a dog Jasmine who neither plays nor dances but loves to get belly rubs. I’m a banjo player. I started with Scruggs style, but when I moved to Portland in 2005 and joined Maggie, Patrick and Sophie’s String Band Class I learned claw hammer. It is now my favorite style. My husband, George, plays primarily mandolin and Cajun accordion, though he’s been known to pick up a fiddle. We discovered the Old Time Gathering in 2006 and have been going every year since. I’m now retired, but until retirement I worked for Legal Aid and, later, for the Small Business Legal Clinic of Lewis and Clark Law School as a lawyer specializing in nonprofit and small business law. I joined the Bubbaville Board of Directors in 2017. I’ve lived in Portland since I was 10, and grew up studying classical piano and violin. I first heard old time music on my 16th birthday, when a friend took me to hear stringband music at the Red and Black Café in SE Portland. From that day on I was hooked. I’ve been enthusiastically attending old time festivals, concerts, and square dances ever since, as well as performing, recording, and teaching fiddle music. I’ve played with a number of bands over the years, including the Government Issue Orchestra, the Macrae Sisters, and Hopping Jenny. I’ve also developed a deep love of teaching, and have co-taught the Portland Stringband Class with Maggie and Patrick Lind since 2005. I currently teach private violin and fiddle lessons to both kids and adults, and co-teach Portland Fiddle Camp for kids with Kate O’Brien. This community of old time musicians, dancers, and enthusiasts has been such a wonderful and important part of my life for many years now, and it’s an honor to be able to give back a little by serving on the Bubbaville board. I was born in the ’70s and raised through the ’80s on the south bank of Deer Creek, tributary to the mighty Umpqua. With neither fiddle nor banjo to be heard in Douglas nor neighboring counties, I drew childhood inspiration from the melodic meanderings of Boney M, Slade, a National Geographic record of Scottish folk music, and Grandma’s melodica. This confusion of “musical” threads was instantly untangled twenty years later upon hearing the tight fiddle and mandolin unison of Foghorn Stringband. Over the intervening 13 years, a glaring lack of discouragement from Portland old-time musicians and at least eight square dancers (not to brag) has blessed this musical man-baby’s fiddle with an almost noticeable patina of rosin dust.